In the corporate world, employees leaving a job are often asked to sit through an exit interview with HR about their time at the company. That concept doesn’t exist for Broadway performers, but we love checking in with stars as they finish up a successful run. 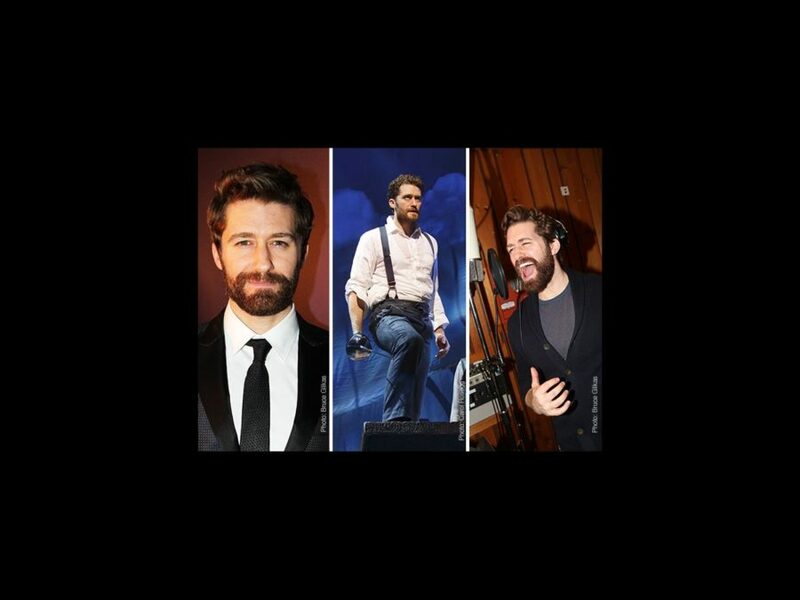 Broadway favorite and Glee star Matthew Morrison plays J.M. Barrie and tells the inspirational story behind the creation of Peter Pan in the Broadway.com Audience Choice Award-winning musical Finding Neverland. Morrison will play his final performance in the role on January 24. We asked the actor to take Broadway.com’s Exit Interview and tell us all about what he’ll miss, what he learned and more about his magical time in the show. How did you feel when you first got this job? I’m a creature of the stage—it’s my oxygen. So after completing six seasons of Glee, I was itching to get back on the Broadway stage. The question wasn’t ,“Will I go back to Broadway?” It was, “Which show will it be? !” When Finding Neverland came into the picture, I was completely ready for the challenge. I was so excited to get back to New York, to create a new theatrical family and to tackle such an incredible real life character such as J.M. Barrie. How do you feel now that you’re leaving? Leaving is always the hardest. I’m not good with goodbyes. My last show is always a cry-fest for me. (I apologize in advance if you are in the audience that night!) This was my first Broadway show that I was the outright lead of, and I’ve learned and grown so much this year. Playing J.M. Barrie has really gotten me in touch with a deeper and emotional side, and, in a way, has brought me a lot of insight into the kind of father I want to be. I am going to miss him, as well as the incredible individuals that I got to “play” with eight times a week. What are three words you would use to describe your experience? What was the easiest thing about this job? Working with Laura Michelle Kelly. She saved me this year. She is so effortless on and off stage. I’m so proud of her performance every night and so thankful for the friendship that we have formed this year. What was the hardest thing? The physical toll that this role has taken on my body. I feel like a running back in the NFL with all the ice baths that I’ve taken this year! Mia Michaels’ choreography was such a challenge, but I was so happy to do it every night because I felt like the story couldn’t be properly told without it. It was also difficult singing so many songs night after night, on top of all the press I had to do for the show. Which ultimately lead to the HARDEST thing I had to do this year…miss shows! I hate letting people down, and I always feel so guilty about that part. What was the highlight of your time at this job? Taking the audience on this beautiful and complex journey! I love the story that we are telling every night. It’s such a timeless tale that blends love, hope, perseverance and a little bit of magic. This show has even made some of the hardest of humans more vulnerable by the end! What skills do you think are required for future job applicants? Well, you have to be a triple threat for sure. No getting around that part. As well as being able to maintain a Scottish accent while surrounded by people speaking with British accents. I’m actually very much looking forward to seeing other people step into this role and put their own spin on it. This show is all about using your imagination, so it’s open to interpretation. What advice would you give to future employees in your job position? Have fun. Don’t forget to PLAY. And most of all, it’s imperative to lead with a sense of gratitude and appreciation for what it is we get to do day in and day out. Any role, but especially this one, can be very taxing on your body, soul, home life, etc. So, my advice in life is to just live with an abundance of gratitude and positivity. How do you think you’ve grown? Have you seen the show?! I’m never going to grow up! I’ve done several long runs in musicals and there comes a point where you just need to leave for your own sanity. It doesn’t matter what the show, your mind needs to rejuvenate and explore new adventures. I always want to be challenged…I’m ready for the next one! The cast…my extended family for the past year. The amazing stage crew…who kept me alive every night. The awesome lighting team…who made my beard look so “hot”. The sound crew…who gave me a boost when I needed it. The ushers at the Lunt Fontanne…who always made me laugh every night while I was leaving the theater. The stage managers…who figured it all out when things got wacky. My incredible dresser and friend, Alex…who’s been my rock and sounding board for over 15 years. All of this would be nothing without the love that continued to keep people in those seats. I will miss the tangible energy from you, the audience, that kept me going every day and every night. I will forever be grateful for finding my Neverland!